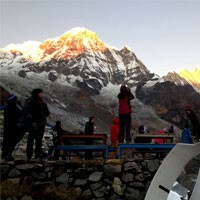 Jyamrung trek itinerary is a short and easy trekking itinerary in Nepal which is in low land and no chance of having the problem of an attitude. 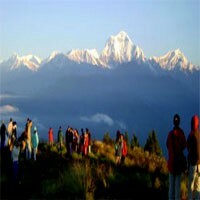 Jyamrung trek itinerary is not following by most of the trekkers who trek in Nepal but the travellers who would like to have real experience of the Nepali country site and the lifestyle of the villagers, Jyamrung trek itinerary should be the best. 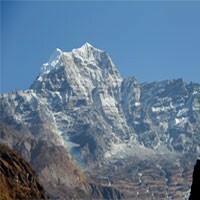 This is one of the cheapest trek itineraries in Nepal. Day 03 : Drive from Kathmandu to Trisuli and walk to Khaplebas. Day 04 : Trek from Khaplebas to Samari(745m.) 5 hrs. Day 05 : Trek from Samari to Todke(1050m. )6 hrs. Day 06 : Trek from Todke to Jyamrung( 1040m.) 5 hrs. Day 07 : Trek from Jyamrung to Dhading besi(520m.) 4 hrs. Day 08 : Drive back to Kathmandu.Fare well dinner with Frolic Adventure. Day 09 : Departure to the international airport for your final flight.